How do I take care of a guinea pig, New Farm Vet? Hi New Farm Vet, I just adopted a guinea pig, what should I do? Guinea pigs housing requirements are quite similar to a rabbit. These adorable creatures can be housed outdoors or totally indoors. What type of enclosure should I use, New Farm Vet? It is recommended that a guinea pig be housed in an enclosure that is at least 30cm by 60cm wide. Since cavies do not jump or climb, the height of the enclosure needs to be 30cm high and can be left opened (beware of predators if housed outside!). Should be easy to clean and "chew-proof", New Farm vet? Like rabbits, avoid wire mesh floors as they cause harm to their feet and lead to pododermatitis. Guinea pigs produce a lot of urine and faeces so make sure that the enclosure is well ventilated to prevent the build up of ammonia. The fumes can irritate the eyes and respiratory tract. Place the enclosure in a dry, draft and rain free area. Heat stress is a common fatal illness, so make sure the temperature in the enclosure ranges between 18-25 degrees Celsius. What to put in the enclosure, New Farm Vet? Line the enclosure with hay, straw, shredded newspapers or recycled paper pellets. Avoid wood shavings or saw dust as they may cause respiratory problems. Caves, like rabbits, love to explore. Leave cardboard boxes, pvc pipes or thick layer of hay/straw for them to hide and burrow. This also provides mental enrichment. Provide at least two water bottles for your cavies just in case one gets clog up with food. Avoid using water bowls as they tend to be easily soiled and cause wetting of the enclosure. Should I give any behavioural enrichment toys, New Farm Vet? Toys include toilet paper rolls, paper bags, bird or cat toys. Tree branches are ideal for chewing. Guinea pigs enjoy exercise outside their enclosure. Just remember to guinea pig proof your home! Plug any tiny holes you can find to prevent escape. Can I house my guinea pig with other animals, New Farm Vet? 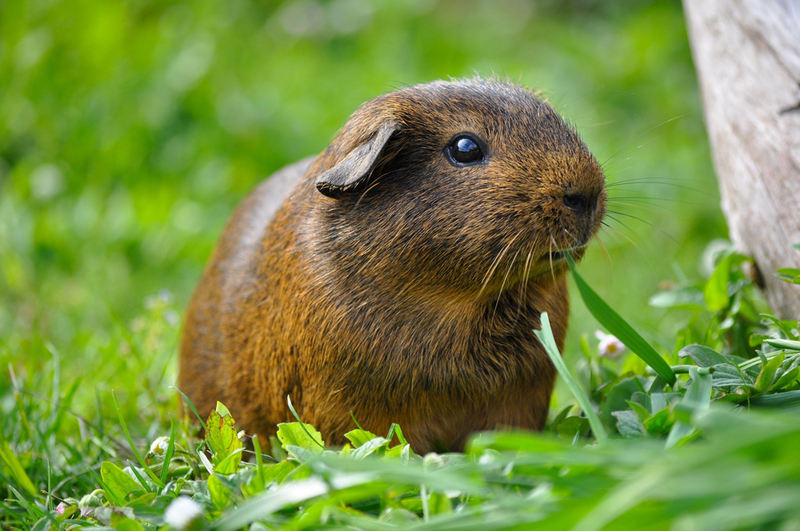 Guinea pigs are very sociable animals, so they enjoy the company of other cavies. Groups of female only or desexed males only are suitable. Similarly, grouping girls with desexed boys are OK too. Any introductions should be on neutral territory and under supervision. If you are looking for a New Farm Vet, call (07) 3216 0045 to make an appointment to see Dr Nic at Fortitude Valley Vet. Help! My dog has cherry eye, Bowen Hills Vet. © 2015 Fortitude Valley Vet - Emporium Pet Shop New Farm Teneriffe Newstead Bowen Hills Brisbane. Nicfoundland All rights reserved.